Using an in-built camera microphone for YouTube is like using Internet Explorer to browse the internet. You only do it if you don’t know what you are doing! Vlogging is not just about video, you need good audio. The sooner you understand this, the sooner you will master YouTube, the better will your videos be, increased onpage time and the higher your number of subscribers. You want people to keep watching your videos, you need to make sure that you use the right type of camera with a mic input, as poor audio quality is penalized by YouTube, affecting how many people your videos reach. Today, it might seem unnecessary to spend extra on a microphone, but in the long-term, you will thank us for walking you through the best vlogging cameras that support it. A camera mic will change your dialogue from a tinny sound into a resonating voice that all your viewers will enjoy listening too, so let’s look at our top pic of cameras compatible with the best microphone for YouTube. Why Use an External Microphone for YouTube? Vlogging with a regular point and shoot camera or a mirrorless is easy, you capture a nice 1080p or 4k high-quality video with bad quality audio. You ever heard a 4k video with sound from an inbuilt microphone – what a disappointment! What about the audio? Your camera’s inbuilt 2-channel stereo microphone will capture audio like it’s the 90s and you are using a crude HP transmitter system to do it. With some point and shoot cameras, it’s like using two cups and a string to deliver your sound, it will not only give you noise but also capture everything that is happening around in your frame – from bristling of leaves to your breathing. What if you want your viewers to experience is a high definition 6-channel audio that comes from a rode shotgun mic, so that you can also shoot those fancy new 360° videos that have an intelligent sound mechanism? What if you want them to completely feel like they are in your vlog as they are watching? What do you do? You record with an external microphone. The benefit of a good external mic is obvious, and the biggest one is that it can capture high-quality audio in sync with the video, so you don’t have to record separately, clap to sync the sound then rely on an expensive video editing software to piece it together for you. 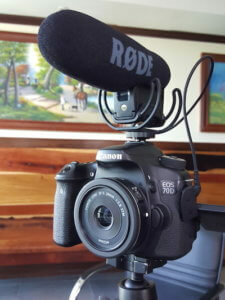 The second point is the way they capture audio: external mics that are unidirectional or bidirectional are preferred for vlogging as they will focus on a single object in a frame rather than capturing everything around their radius. Your camera’s in-built mic is omnidirectional and is considered the worse type for vlogging but understandable if you are trying to vlog for under 200 dollars. There are beginner YouTubers doing a nice beauty vlog about how to paint their thighs and their mic also captures their younger sister outside the door asking her why she is talking to herself. Do you really want those YouTube subscriber numbers to go down? If you care about your YouTube viewers and see yourself as a potential successful vlogger, you should further narrow down your selection on these five types of the best YouTube cameras. And then get a suitable external microphone to make your subscribers fall in love with you. We are here to increase those numbers. 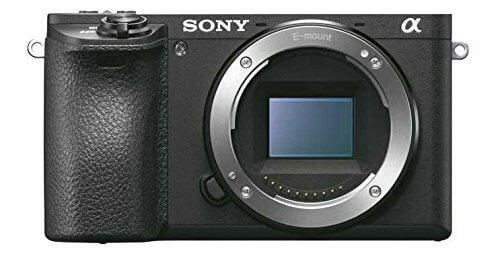 One of the best Sony YouTube Cameras with external mic, if you are looking for speed, then one of Sony’s latest models (released in 2016) – the A6500 – is one to die for. With high-speed imaging technology and Sony’s trademark color enhancers, this one is an updated version of the A6300 which is a great camera in itself. Directed at people who also are into photography, some of its highlights are 425 phase-detection autofocus points, high ISO sensibility and the ability to record 4k video at a maximum of 30 frames per second, and slow-motion mode. It also has a responsive touch screen which makes manual focus easier. In-built image stabilization ensures that you do not have to invest more on external lenses unless you want extra-wide coverage. However, the only two drawbacks that make it slightly unapproachable is its higher price and absence of a swivel screen. You can only tilt the screen, which may not be favorable for lifestyle vloggers. But, still, if you want Sony’s technology with the intention of using an external mic, then the A6500 is the best option. 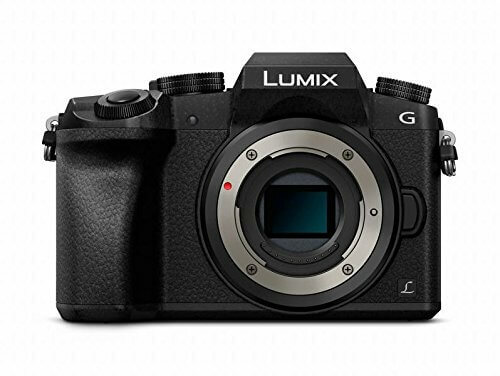 Not only a mirrorless camera with external mic input, it is the best 4k video camera in this list, the Panasonic Lumix DMC-G7 boasts of 4k (UHD) recording quality, 16-megapixel MOS sensor, Venus Engine 9 image processor, and nearing one of the best flip screen camera designs available in the market right now. You can swivel it the way you want, depending upon your convenience to get that perfect shot. Panasonic is not that popular for its lenses as they are known to be bulky especially if you compare them with Canon’s lenses. However, the G7 still has the G Vario Lenses which provide superb video quality enough to make your fans ask about your camera model in the comments. Regarded as Nikon’s best DSLR YouTube camera, this one is a DSLR that has all the right ingredients – 1080p resolution video capturing ability, good battery life, a flip screen, and a reasonable price that puts its immediate competitors to shame. If you are a beginner lifestyle vlogger for whom color is not very important, but sharpness is, then the D5300 is the model to go for. It provides sharp, high-quality videos because of the lack of anti-aliasing filter. The low light performance is another advantage as you can capture noiseless videos even in relatively higher ISOs. These are the features that sets it apart from models by Sony and Canon. Looking like a professional vlogger is one thing, and shooting professional vlogs is another you don’t want to have all the gear and no idea. You get the VIXIA HF G40 and you get both those effects in a single package. 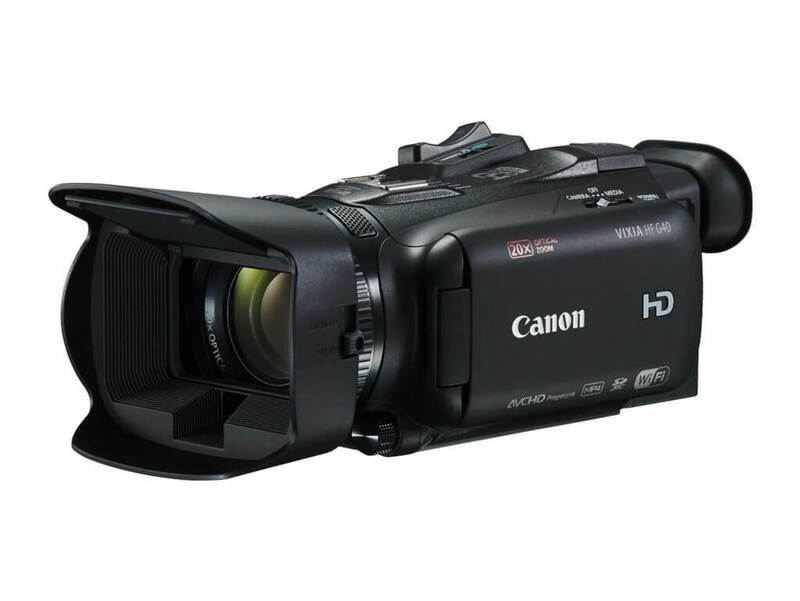 This Canon camcorder is almost the market leader when it comes to YouTube cameras, and if you research about good camcorders (ones with which you cannot snap photographs), its VIXIA series is definitely going to be in the top 3. The VIXIA HF G40 is a paradise for YouTubers who are obsessed with manual control. With a bevy of features that will allow them to customize their vlogging experience, this model is the perfect companion for the prolific video game commentator and short series producer. 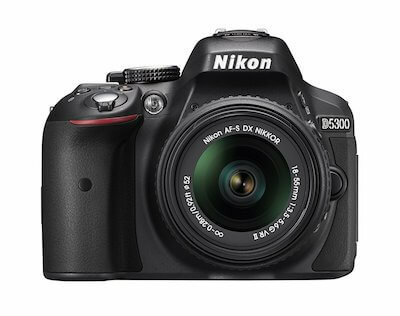 With an advanced High Definition CMOS Pro Image Sensor and HD Optical Zoom Lens, it performs exceptionally well in low light, giving a tough time to the Nikon D5300. A lot of people find its “Assign Buttons” feature cool because it reminds them of their smartphone speed dials. Additionally, it comes with Wi-Fi, FTP transfer, dual SD card slots, and the best flip screen in camcorders. The screen here is bigger (3.5 inches) than traditional models’ and is made of OLED as compared to LCD. Although we found it very difficult to upload our videos wirelessly through the Wi-Fi, it is still a great camcorder if you are a fan. The ultimate YouTube action camera. GoPro and adventure vlogging go hand in hand so much that every action vlogger in the world has at least one model in their inventory. GoPro’s most popular and one of the best-selling models is the HERO5, which naturally comes with an external mic port. It would have been a travesty if the American technology company hadn’t provided support for this because capturing audio in an action/travel/adventure vlog is of utmost importance, with an in-built microphone it is surprisingly good but the great thing about this model is that the Hero5 has a microphone port to allow you to connect you an external mic. 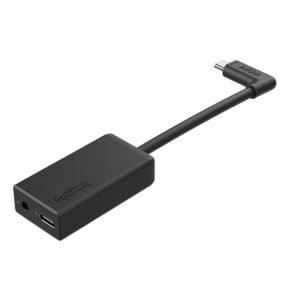 This adapter is $50, and is pretty pricey considering what it is but it allows you to use any of the best external microphones that are available. 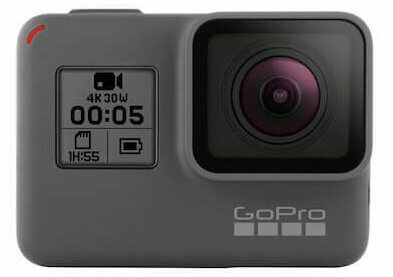 The GoPro HERO5 is shockproof and waterproof, captures videos in up to 4k resolution, can be used through your smartphone (GoPro mobile app), has a touch display, and even supports time-lapse mode. 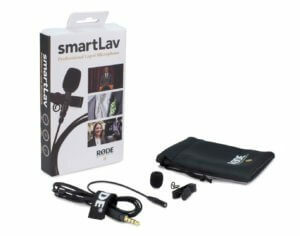 If you are interested in adventure and know the importance of external mic input, then this is your best bet. It is for the first time that we have featured vlogging camera models of five different brands and four camera types. What it infers is that everyone in the camera industry is receptive to the fact that external mic input is important when it comes to shooting videos. While Canon is good with its lenses and imaging technology, Sony is good with its color schemes and inventive features. Different brands have different features and traits that differentiate them from others. So, it depends upon the end user to carefully select the most suitable model based on his/her requirements, check out our article for some of the best cameras of 2017. It doesn’t make sense to buy a Canon PowerShot ELPH series mode if you are a travel vlogger. You should instead look for Olympus or GoPro. 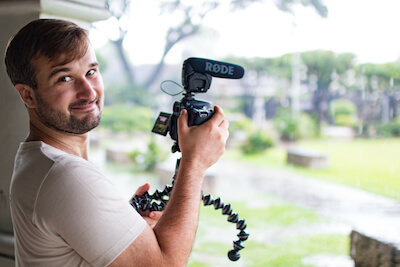 For helpful tips and tricks about vlogging, check out our other articles.